Metso awarded major Albemarle contract at Kemerton lithium plant (0) April 12, 2019 Metso has won a contract to supply pyro-processing and comminution equipment to Albemarle’s Kemerton lithium plant near Bunbury, Western Australia. OZ Minerals spends $36m for 70% of West Musgrave project (0) April 12, 2019 OZ Minerals has secured a 70 per cent interest in the West Musgrave nickel-copper project by completing stage two of its earn in with joint venture (JV) partner Cassini Resources. Caterpillar unveils first battery electric LHD underground loader (0) April 12, 2019 Caterpillar has revealed that its first battery electric load-haul-dump (LHD) platform will be the Cat R1700 underground mining loader. New Century to double plant capacity following record production (0) April 11, 2019 New Century Resources’ successful ramp up of plant performance at its Century zinc mine in Queensland validates its expansion into a 15 million tonne-a-year operation in 2019. South Australian miner identifies trace gold in tree leaves (0) April 11, 2019 Marmota Energy has identified trace gold elements in vegetation found near the Aurora Tank gold mine site in Goshawk, South Australia. Lynas rejects Wesfarmers’ ‘highly opportunistic’ takeover bid (0) April 11, 2019 Lynas Corporation’s board of management has urged shareholders not to accept Wesfarmers’ “unsolicited” $1.5 billion bid for the company announced last month. ExxonMobil appoints MotorActive as authorised distributor for Mobil lubricants in Australia (0) April 11, 2019 ExxonMobil Asia Pacific has announced the appointment of automotive retail specialist MotorActive as a new authorised distributor for Mobil lubricants in Australia. 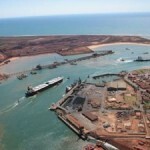 Rio Tinto suffers fire damage at Port of Dampier (0) April 11, 2019 Rio Tinto has confirmed that a fire broke out at the Port of Dampier in the Pilbara, Western Australia. Rare earth industry confident after Lynas takeover bid (0) April 11, 2019 Dysprosium price has shown “seriously positive moves”, shooting up more than 20 per cent at a time when Lynas is bringing M&A focus to the forefront. WestStar set for funding boost to support Tier 1 contracts (0) April 10, 2019 WestStar Industrial is set to support its strong project pipeline with top tier customers including Rio Tinto, MSP Engineering, Talison Lithium and Tianqi Lithium with a funding boost. BHP to streamline workforce to deliver ‘competitive’ returns (0) April 10, 2019 BHP is cutting jobs and in-sourcing more of its contractor workforce as part of a global process that chief executive Andrew Mackenzie believed would deliver benefits valued in “many billions”. Expertise meets creativity: MHE-Demag presents Engineered Service concept (0) April 10, 2019 MHE-Demag recently introduced a new maintenance concept to best optimise the service provided to customers whilst maintaining the quality of their products. AusIMM leads the conversation on best practice for sustainability in mining (0) April 9, 2019 The Australasian Institute of Mining and Metallurgy (AusIMM) encourages the resources sector to renew its focus on social licence to sustain its growth. BHP to transition to drive-in drive-out in the Pilbara (0) April 9, 2019 BHP Western Australian Iron Ore will begin advertising roles with more lifestyle flexibility as it seeks to increase the residential proportion of its workforce in the Pilbara, Western Australia. 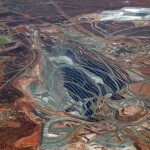 Wesfarmers reports ‘positive progress’ in Lynas acquisition despite licence issues (0) April 9, 2019 Wesfarmers has provided an update on its proposed $1.5 billion takeover of rare earth-focused company Lynas Corporation. 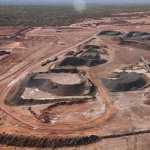 Kalium Lakes receives environmental nod for Beyondie SOP project (0) April 9, 2019 The Western Australian Environmental Protection Authority (EPA) has given the nod to Kalium Lakes’ Beyondie sulphate of potash (SOP) project in the eastern Pilbara. KCGM awards five-year contracts to SRG Global, Mitchell Services (0) April 9, 2019 Mitchell Services has materially expanded into Western Australia through a contract win with the Newmont Australia and Barrick Gold joint venture (JV), Kalgoorlie Consolidated Gold Mines (KCGM). Rio Tinto approves $463m development at mineral sands project (0) April 9, 2019 Rio Tinto will advance its subsidiary company Richards Bay Minerals (RBM) through the construction of the Zulti South mineral sands project in South Africa. Fosterville and Macassa deliver the goods for Kirkland Lake (0) April 8, 2019 Kirkland Lake Gold has recorded record quarterly production at two of its gold mines, Fosterville in Victoria and Macassa in Ontario, Canada. Swick secures $210m in drilling contracts (0) April 8, 2019 Swick Mining Services has considerably boosted its order book due to several new tender outcomes and contracts both in Australia and internationally. Immersive Technologies recognises mining excellence at annual awards (0) April 8, 2019 Marking its tenth year, Immersive Technologies recognises the most outstanding results achieved by mining companies utilising simulation as a key driver in the business improvement process. QRC proposes tax-backed Maroon Fund to finance $491m in community projects (0) April 8, 2019 The Queensland Resources Council has proposed that the Federal Government use tax revenue generated from higher coal prices to establish a $491 million Maroon Fund for Queensland community projects. Resolute on track to become gold powerhouse at Syama (0) April 8, 2019 Resolute Mining has ameliorated production loss in its Ravenswood operations in Queensland with a record quarterly output in its flagship Syama project in Africa. Red River posts record zinc, copper and lead production at Thalanga (0) April 8, 2019 Red River Resources has reported record operating performance from its Thalanga zinc operations in Northern Queensland during the March 2019 quarter. Petroleum tax amendments could benefit onshore gas projects (0) April 5, 2019 The Australian Government has passed amendments to the long-standing petroleum resource rent tax (PRRT) to exclude the onshore oil and gas industry from its scope. Panoramic Resources has turnaround March performance with Savannah (0) April 5, 2019 Panoramic Resources’ Savannah nickel project has reported an improvement in mining activities during March – a turnaround result after a poor February performance. Australian Vanadium on track for pilot study completion in 2019 (0) April 5, 2019 Australian Vanadium (AVL) has completed a large-scale metallurgical and resource sample collection which will accelerate its Australian Vanadium project pilot study off Meekatharra in Western Australia. 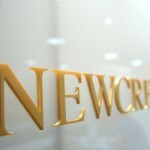 Goldcorp receives shareholder approval for Newmont Mining merger (0) April 5, 2019 Goldcorp’s shareholders have voted overwhelmingly in favour of the company’s proposed $US10 billion ($14 billion) merger with Newmont Mining. SRG Global secures Evolution Mining contract worth up to $115m (0) April 5, 2019 SRG Global has received a three-year drill-and-blast services contract with Evolution Mining at several of its Australian gold mines. Antipa to build off Rio Tinto partnership with ‘aggressive’ exploration (0) April 5, 2019 Antipa Minerals is set to accelerate its 2019 exploration programs and pursue broader gold-copper potential analogous to Rio Tinto’s Winu discovery in the Paterson province of Western Australia. Indigenous students to reach new heights in robotics (0) April 5, 2019 The Toolooa Indigenous Group Robotics (TIGeR) team is set to join the upcoming robotics competition in Rockhampton, Queensland in August this year. Strata refuge shelters provide safety when breathing air is compromised (0) April 5, 2019 Strata Worldwide offers one of the leading brands in emergency refuge solutions available to the global mining market. Lucapa refinances to maximise diamond production (0) April 4, 2019 Lucapa Diamond Company aims to reduce its high-cost development debt associated with the delivery of its Mothae diamond mine in Lesotho, South Africa, via funding and refinancing agreements. Lithium Australia to restore critical metals with Envirostream (0) April 4, 2019 Lithium Australia has acquired a significant interest in battery recycling company Envirostream in line with the Australian Government’s critical minerals ambition in 2019. Mineral Commodities acquires highest grade flake graphite operation in world (0) April 4, 2019 Mining and exploration company Mineral Commodities Graphite (MRC) has acquired Norwegian company Skaland Graphite, significantly boosting its capacity as a flake graphite producer. Syrah achieves production record at Balama graphite project (0) April 4, 2019 Syrah Resources has cemented its comeback from production issues last year by posting a production record in March at as the Balama graphite project. Kalium Lakes secures more funds for Beyondie SOP project (0) April 3, 2019 Kalium Lakes has secured a conditional equity investment of $20.8 million from Greenstone Resources at the Beyondie sulphate of potash project (SOPP) in Western Australia. Boss discovers ‘major breakthrough’ for Honeymoon uranium expansion (0) April 3, 2019 Boss Resources has commenced the second phase of its Honeymoon uranium project restart in SA, confirming its potential expansion into a 3.2 million pound-a-year operation. Fortescue awards $35m contract to Pilbara businesses (0) April 3, 2019 Fortescue Metals Group has awarded a major component overhaul and replacement services (MCORS) contract to three contractors based in Port Hedland in Western Australia. MICROMINE releases field logging program Geobank Mobile 2019 (0) April 3, 2019 Mining software company Micromine has released the latest version of its field logging program, Geobank Mobile 2019, which inclkudes several upgrades and features. Komatsu P&H surface drill makes for safer operation through automation (0) April 3, 2019 Komatsu has unveiled the first of a new line of surface mining dill rigs featuring autonomous capabilities for safer operation and greater productivity. Fenner Dunlop receives conveyor contract at South Flank (0) April 2, 2019 BHP has awarded a $16 million overland conveyor belt contract to Fenner Dunlop at its South Flank project in Western Australia. Independence Group to unlock value of nickel sulphate from Nova (0) April 2, 2019 Independence Group (IGO) has advanced its pre-feasibility study on its downstream nickel-cobalt extraction process, which involves hydrometallurgy of nickel sulphide concentrate in lieu of conventional smelting and refining methods. Fortescue approves $3.7bn Iron Bridge stage two expansion (0) April 2, 2019 Fortescue Metals Group subsidiary FMG Magnetite and joint venture partner Formosa Steel have approved the development of the stage two Iron Bridge magnetite project in the Pilbara, Western Australia. Lucapa recovers fifth major diamond from Mothae (0) April 2, 2019 Lucapa Diamond Company has recovered a 55-carat diamond from its Mothae kimberlite plant in Lesotho, southern Africa. Lincom Group and McLanahan announce partnership (0) April 2, 2019 Original equipment manufacturers (OEM) Lincom Group and McLanahan Corporation have signed a contract that will see the former become the official Australian distributor of McLanahan’s sand and aggregates processing range. BHP takes production hit at Port Hedland due to cyclone (0) April 2, 2019 BHP expects to lose around six to eight million tonnes of production due to closures at Port Hedland in the wake of Tropical Cyclone Veronica. Liebherr enhances performance of ultra-class mining trucks (0) April 1, 2019 Liebherr has increased the payload capacity of its T 264 ultra-class mining trucks to 240 tonnes following the implementation of new upgrades. NRW commits to Gascoyne raising for Dalgaranga project (0) April 1, 2019 Gascoyne Resources has announced an equity raising worth $24.4 million in order to gain working capital and funds for its struggling Dalgaranga gold project in Murchison, Western Australia. 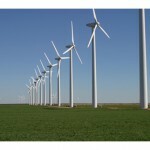 Aus Tin to support construction of Tasmanian wind farm (0) April 1, 2019 Aus Tin Mining has signed an agreement with Lucas Total Contract Solutions to support a $280 million wind farm development near its Granville East open cut mine in Tasmania. Evolution inks gold-copper JV agreement at Murchison (0) April 1, 2019 Evolution Mining has entered into a joint venture (JV) agreement with Enterprise Metals over the latter’s large, early-stage Murchison exploration project in central Western Australia. Mining moguls make their mark in Australia’s wealthiest 250 (0) April 1, 2019 Seventeen of Australia’s richest 250 built their wealth upon the mining sector, with Hancock Prospecting’s Gina Rinehart leading the cohort with $13.12 billion. 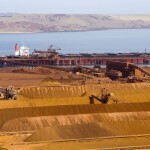 Rio Tinto declares force majeure due to cyclone damage (0) April 1, 2019 Rio Tinto has announced disruptions to certain iron ore shipments from Western Australia following the impact of Cyclone Veronica. Australia to be critical minerals powerhouse (0) March 29, 2019 Australia has mapped out its 2019 critical minerals strategy which envisions the country as a world leader in exploration, extraction, production and the processing of critical minerals. Monadelphous builds $212m South Flank contract portfolio (0) March 29, 2019 BHP has awarded a second construction contract at the South Flank iron ore project in the Pilbara, Western Australia to Monadelphous. Pilbara Minerals achieves commercial production as growth plans evolve (0) March 29, 2019 Pilbara Minerals has declared commercial production at its Pilgangoora lithium-tantalum project in Western Australia and is looking for partners to support its stage three offtake. Tropicana underground expansion receives nod (0) March 28, 2019 The Tropicana joint venture has cemented the Western Australian gold mine’s future by approving the Boston Shaker underground development. BHP, CSIRO join forces to improve community engagement (0) March 28, 2019 BHP is giving local communities the opportunity to express their views on the projects that the company operates through CSIRO’s Local Voices initiative. SIMEC, Havilah extend exclusivity on South Australia iron ore projects (0) March 28, 2019 Havilah Resources has agreed to provide SIMEC Mining additional time to carry out due diligence at two of its iron ore projects, Grants and Maldorky. 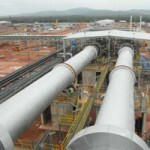 Gascoyne posts $47m loss as Dalgaranga suffers setbacks (0) March 28, 2019 Gascoyne Resources incurred a net loss of $47.2 million in the six months ended December 31 last year, the company has announced. Komatsu moves closer to fully autonomous dozer dream (0) March 28, 2019 Komatsu has unveiled the D375Ai-8 ‘intelligent’ dozer, the company’s first mining dozer featuring its Machine Control system. Gregory Crinum coal mine to restart following BMA sale (0) March 28, 2019 Sojitz is plotting the restart of the Gregory Crinum coking coal mine in Queensland after completing a $100 million acquisition of the site from BHP Mitsubishi Alliance (BMA). Built to endure the toughest conditions (0) March 28, 2019 Malcolm Thompson Pumps’ renowned Stalker ISO Chrome iron pumps are designed for longevity in tough mining conditions. RNC Minerals pursues funding for Higginsville gold purchase (0) March 28, 2019 RNC Minerals is entering a new financing round to provide capital for the company’s acquisition of Westgold Resources’ Higginsville gold operation in Western Australia. Red River outshines expectations at Thalanga (0) March 28, 2019 Red River’s development at its Thalanga copper-lead-zinc operations in northern Queensland has led to recoveries that exceeded expectations. Coal on backburner as PM reveals funding shortlist for energy projects (0) March 27, 2019 Only one coal-based energy project has made the Australian Government’s shortlist for the Underwriting New Generation Investments (UNGI) program, designed to deliver technology-neutral, low-cost electricity generation to Australia. Rio Tinto to take grounds at Paterson JV with further exploration (0) March 27, 2019 Rio Tinto is committed to invest $3.4 million in the exploration of the Citadel project farm-in and joint venture (JV) with Antipa Minerals in Western Australia this year. Pilbara Minerals sets up next Pilgangoora expansion (0) March 27, 2019 Pilbara Minerals has reinforced the potential to increase the processing capacity at the Pilgangoora lithium operation in Western Australia by 50 per cent in a stage three expansion. Rio Tinto operations return to normal after cyclones (0) March 27, 2019 Rio Tinto has reopened all of the operations in Western Australia and Queensland that were temporarily closed in anticipation of the cyclones on both sides of the country. 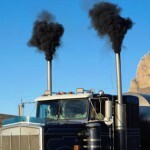 Australia registers export records across key mining states (0) March 27, 2019 Robust coal exports in both New South Wales and Queensland prove market demand remains strong amid carbon emission concerns and decisions to abandon coal. Glencore, Macarthur Minerals ink 10-year Lake Giles iron ore offtake (0) March 26, 2019 Macarthur Minerals has entered into a life-of-mine offtake agreement to provide iron ore from its Lake Giles project in the Yilgarn region of Western Australia to Glencore. Rio Tinto, Vale named most innovative companies in the world (0) March 26, 2019 Rio Tinto made it to Boston Consulting Group’s annual list of the 50 most innovative companies worldwide for its use of artificial intelligence and platforms. Westgold to sell Higginsville gold operation to RNC for $50m (0) March 26, 2019 RNC Minerals has agreed to purchase Westgold Resources’ Higginsville gold operation in the Norseman region of Western Australia. Wesfarmers lobs $1.5bn offer at Lynas (0) March 26, 2019 Wesfarmers has set its sights on Lynas Corporation with a $1.5 billion takeover bid. Kalium Lakes scores 10-year offtake deal with German potash company (0) March 26, 2019 Kalium Lakes has finalised a deal to supply German fertiliser company K+S with up to 90,000 tonnes a year of sulphate of potash (SOP) over a 10-year period. Austmine to showcase the ‘next horizon’ for mining innovation (0) March 26, 2019 Austmine is now the leading mining innovation conference in the world, according to chief executive officer Christine Gibbs Stewart. Jupiter Mines to make move at Central Yilgarn iron ore projects (0) March 25, 2019 Jupiter Mines could bring its Australian operations back to life with the restart of the Central Yilgarn iron ore projects in Western Australia. 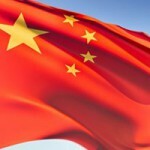 BHP chief backs ‘economic importance’ of China’s Belt and Road Initiative (0) March 25, 2019 BHP chief executive officer Andrew Mackenzie has lauded China’s Belt and Road Initiative (BRI) in a speech in Beijing. Atlas Copco brings ‘unparalleled level of service’ to WA (0) March 25, 2019 Atlas Copco has converted a large warehouse to carry out major overhaul work that’s not always possible on site in its new Western Australian headquarter in Perth. Sandfire sets up JV with White Rock (0) March 25, 2019 Sandfire Resources is expanding its North American presence with plans to work with White Rock Minerals to explore and develop the multi-commodity Red Mountain project in Alaska, United States. Rio Tinto suspends Pilbara operations due to cyclone (0) March 25, 2019 Rio Tinto has temporarily halted rail operations and mining at the Robe Valley project in the Pilbara in response to Cyclone Veronica. The top five mining stories last week (0) March 25, 2019 Australian Mining’s top five stories of the past week included an autonomous truck incident in the Pilbara, mining companies bracing for cyclones across Australia, rehabilitation plans in Queensland, and more. 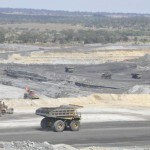 Rio Tinto, BHP take action as cyclones hit (0) March 22, 2019 Major miners Rio Tinto and BHP are gearing up in preparation for the cyclones on both the west and east coasts of Australia. 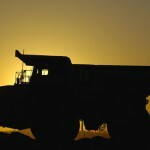 Volatility in coal sector exerts pressure on jobs (0) March 22, 2019 Problems facing the coal sector have lowered the demand for mining jobs in Queensland. Equipment supplier Lincom Group delivers 10th mine spec machine to valued customer (0) March 22, 2019 The Lincom Group a leading provider of material processing equipment, has just delivered the last machine of a 10-machine deal to a valued customer in New South Wales. 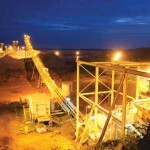 St Barbara cuts gold production outlook at Gwalia (0) March 22, 2019 St Barbara has reduced its gold production target at the Gwalia mine in Western Australia for the remaining first half of 2019. Perth Mint signs agreement with Security Matters to protect its gold (0) March 22, 2019 Security Matters is collaborating with the Perth Mint to develop bespoke tracing technology. Pure Alumina to fast track production with Polar Sapphire acquisition (0) March 22, 2019 Victoria-based Pure Alumina plans to purchase Canadian company Polar Sapphire for $C25.7 million ($27.1 million) to consolidate its position as a high-purity alumina (HPA) producer. Fortescue ignites Christmas Creek light vehicle automation trial (0) March 22, 2019 Fortescue Metals Group is set to commence an autonomous light vehicle trial at its Christmas Creek iron ore mine in the Pilbara, Western Australia. 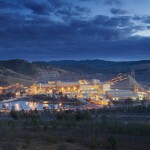 Riversdale shareholders reject Hancock’s $591m takeover offer (0) March 22, 2019 Hancock Prospecting’s takeover bid for Riversdale Resources has hit a hurdle after two prominent shareholders rejected the offer. WA Government to complete closure of ex-mining town Wittenoom (0) March 21, 2019 The Western Australian Government is to finalise the closure of Wittenoom, a former town known for its asbestos mining activity from the 1930s to the 1960s. Blackham sets sights on 250,000oz a year at Matilda-Wiluna (0) March 21, 2019 Blackham Resources plans to raise $25.8 million to back its transition to a 100,000 ounce a year gold producer and beyond. BHP makes move on Ecuador copper project (0) March 21, 2019 BHP has taken a key step towards reaching an $US82 million ($114.5 million) earn-in and joint venture agreement with Luminex Resources at the Tarqui copper project in Ecuador, South America. Labor plans mining technology centre in Perth if elected (0) March 21, 2019 The Australian Labor Party intends to develop a $46 million mining technology centre in Perth, Western Australia, if it wins the upcoming federal election. Aeris sets up acquisition of Glencore copper mine (0) March 21, 2019 Aeris Resources could acquire Glencore’s CSA copper mine in Cobar, New South Wales, for a combined value of $US625 million ($878 million). 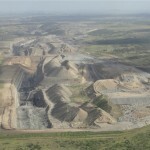 Anglo American, BMA put thousands of hectares of QLD land into rehab (0) March 21, 2019 The major Queensland coal miners have expressed their commitment to rehabilitating key mining areas in the state. GreenGold secures ReCYN technology contract at Martabe gold mine (0) March 20, 2019 Technology company GreenGold has won a contract to design and install its ReCyn technology at PT Agincourt Resources’ Martabe gold project in Northern Sumatra, Indonesia. Custom reel solutions engineered for the mining industry (0) March 20, 2019 Reel Tech is one of the few leaders in their field that specialises in both heavy- duty and custom reeling and hose handling systems. NMX engaged by leading OEM as exclusive agency for sale of surplus CAT components (0) March 20, 2019 National Group-owned company National Machinery Xchange (NMX) has secured exclusive rights to manage the sale of surplus Caterpillar components. Airborne survey reveals rich mineral deposits in Northern Australia (0) March 20, 2019 The Northern Territory and Queensland have shown potential for mineral deposits including gold, copper, nickel, lead, zinc and manganese. TerraCom breathes life into Blair Athol coal mine (0) March 20, 2019 TerraCom has announced an upgrade in marketable reserves at the Blair Athol thermal coal mine in the Bowen Basin region of Queensland to 23.5 million tonnes. Greatland builds off Newcrest partnership with growth aspirations (0) March 20, 2019 Greatland Gold plans to take advantage of weakness in the junior resources sector by identifying and acquiring projects with Tier 1 potential beyond the Paterson region in Western Australia. New Hope rides to a record on back of Bengalla (0) March 20, 2019 New Hope Group is benefitting from its growing interest in the Bengalla Mining Company, which has guided the coal miner to a new record. Bis haul truck fits in with future autonomous mines (0) March 20, 2019 Bis-designed and constructed mining haul truck has come back with outstanding results after going through trials at Glencore’s Murrin Murrin nickel-cobalt mine in the north eastern Goldfields in Western Australia. BHP autonomous trucks collide in the Pilbara (0) March 19, 2019 BHP has blamed a collision between two autonomous trucks at the Jimblebar iron ore mine in the Pilbara, Western Australia on wet weather. Boss improves Honeymoon outlook as restart advances (0) March 19, 2019 Boss Resources has completed the first phase of its restart assessment at the Honeymoon uranium project in South Australia, which confirmed the company’s predicted costs and schedule to restart production. Shortlist announced for Mines and Money Asia Outstanding Achievement Awards (0) March 19, 2019 The Mines and Money Asia Outstanding Achievement Awards are designed to recognise excellence over a wide cross-section of the Asia Pacific mining and investment sector. MinRes completes Mt Marion acquisition as Neometals shifts focus (0) March 19, 2019 Neometals has finalised a deal with Mineral Resources and Ganfeng Lithium to sell its 13.8 per cent stake in the Mt Marion lithium project in Western Australia for $103.8 million. Minprovise doubles site service capacity in one year (0) March 19, 2019 Minprovise has doubled its site service capacity by 100 per cent in the last year. Kingsgate receives $82 million from insurance case (0) March 19, 2019 Australian-based gold miner Kingsgate Consolidated has settled insurance proceedings against the Royal Thai Government over the premature closure of its Chatree gold mine almost three years ago. Heron rejects another Sedgman claim over Woodlawn contract (0) March 18, 2019 Sedgman’s latest progress claim for Heron Resources has been met with another rejection due to a violation of a guaranteed maximum price (GMP) framework, according to the base metals developer. Thiess wins $1.7bn contract at world’s richest diamond mine (0) March 18, 2019 Thiess has secured a nine-year, $1.7 billion contract for works on the Jwaneng diamond mine’s Cut-9 expansion in Botswana, southern Africa. Pilbara Minerals moves ahead with POSCO JV (0) March 18, 2019 Pilbara Minerals has exercised an option to enter into a joint venture (JV) with POSCO for the development of a lithium processing plant in South Korea. GR Engineering secures Mardie contract with BCI Minerals (0) March 18, 2019 BCI Minerals has appointed contractor GR Engineering to provide services at the Mardie salt and potash project in Western Australia. Newmont delivers Tanami power project (0) March 18, 2019 Newmont Mining has completed its $US245 million (346 million) Tanami power project in the Northern Territory on schedule, coinciding with Tanami pouring its 10 millionth ounce of gold. Canadian body cites Australia as model for mining investment (0) March 15, 2019 The Mining Association of Canada (MAC) has mentioned Australia positively in a statement about how the North American country can work to improve its mining investment strategy. 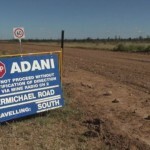 Adani defends carbon emissions at Carmichael (0) March 15, 2019 Adani Australia has responded to environmental concerns regarding its Carmichael thermal coal mine project in the Galilee Basin in Queensland. CSIRO bolsters autonomous mining systems with robotics centre (0) March 15, 2019 CSIRO’s Data61 has opened its Robotics Innovation Centre in Queensland, dedicated to advance the robotics and autonomous systems industry that could be worth $23 billion by 2025. Perth is a global oil and gas hub says WA Mines and Petroleum Minister (0) March 15, 2019 Perth is the only Australian city to be admitted into the World Energy Cities Partnership, which signifies Western Australia’s continual growth as a world energy leader. CIMIC Group awarded $190m contract at Karratha (0) March 15, 2019 Woodside Energy has awarded a contract to CIMIC Group’s UGL as part of the latter’s joint venture (JV) with Cape at the Karratha gas plant in Western Australia. Matching mineral, coal and oil and gas projects with global investment (0) March 14, 2019 This year’s Energy Mines and Money will help drive business growth, introduce new investors and provide over 20 hours of networking opportunities. Syrah Resources set to meet production target at Balama (0) March 14, 2019 Syrah Resources is on track to meet the lower end of its production guidance at the Balama graphite operation in Mozambique. Kingspan exclusive distributor for Permastore GFS tanks (0) March 14, 2019 Permastore has over 50 years of experience in the water storage industry and is considered a leading manufacturer of GFS modular bolted tanks. Image Resources reveals upgrade plans for Boonanarring (0) March 14, 2019 Image Resources will embark on a drilling program aimed at upgrading the company’s mineral resource at the Boonanarring mineral sands project in Western Australia. It’s a productivity game changer – impressive new water cart pump hits the market (0) March 14, 2019 Malcolm Thompson Pumps has released a pump proven to decrease service and maintenance times, keeping water carts on the road for longer. Aus Tin commences owner mining at Granville after ‘frustrating’ delays (0) March 14, 2019 Aus Tin Mining has terminated its contract with Jemrok at the Granville East mine in Tasmania following the collapse of the mining and civil contractor. Rockwell Automation launches Industry 4.0-focused customer centre in Melbourne (0) March 14, 2019 Rockwell Automation has launched a customer experience centre (CEC) in Australia to inspire businesses through automation technology. Mineral Resources, Hazer advance Kwinana pilot plant (0) March 14, 2019 Hazer Group’s graphite pilot plant works with Mineral Resources are set to advance further following the delivery of a new pilot plant to Kwinana in Western Australia. Mitsui invests in Position Partners to advance digital transformation (0) March 13, 2019 Mitsui & Co has invested in Position Partners to accelerate digital transformation in the resource sector, strengthening the $15 billion investment it has made in Australia in the last decade. Ausgold, Great Boulder seal the deal at Yamarna (0) March 13, 2019 Ausgold has inked the deal with Great Boulder Resources to execute a joint venture (JV) agreement over the Yamarna project in Western Australia. 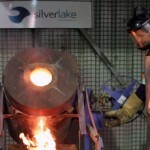 Doray Minerals, Silver Lake a step closer to $421m merger (0) March 13, 2019 Doray Minerals’ largest shareholder has voiced its approval of the proposed merger between Doray and Silver Lake Resources announced last November.